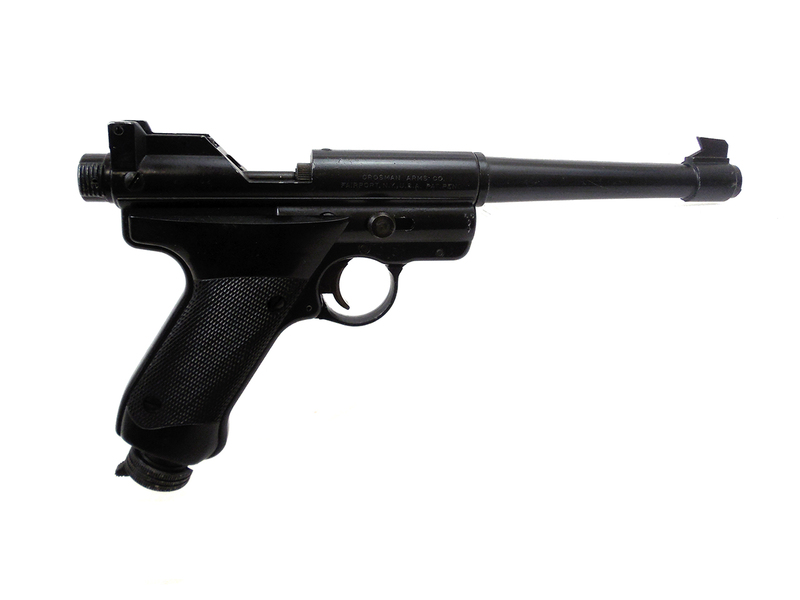 Similar to the Mark I, but .177 caliber, and a bit more scarce. 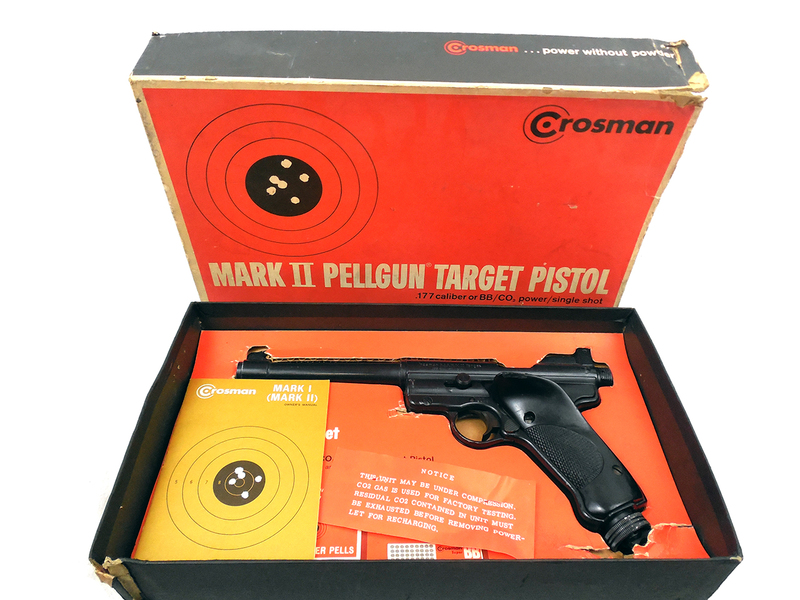 The Crosman Mark II Target is a .177 caliber single shot CO2 air pistol. This one does not have adjustable power. 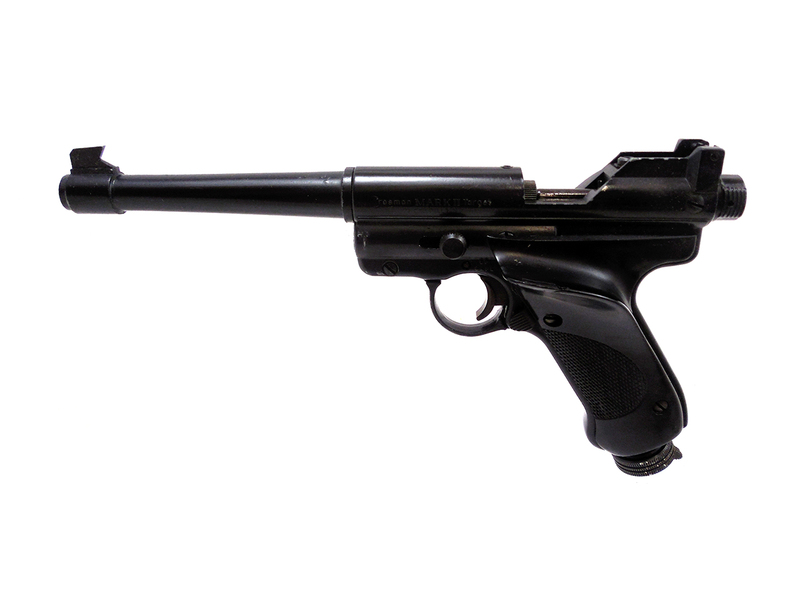 They were manufactured between 1981 and 1986. 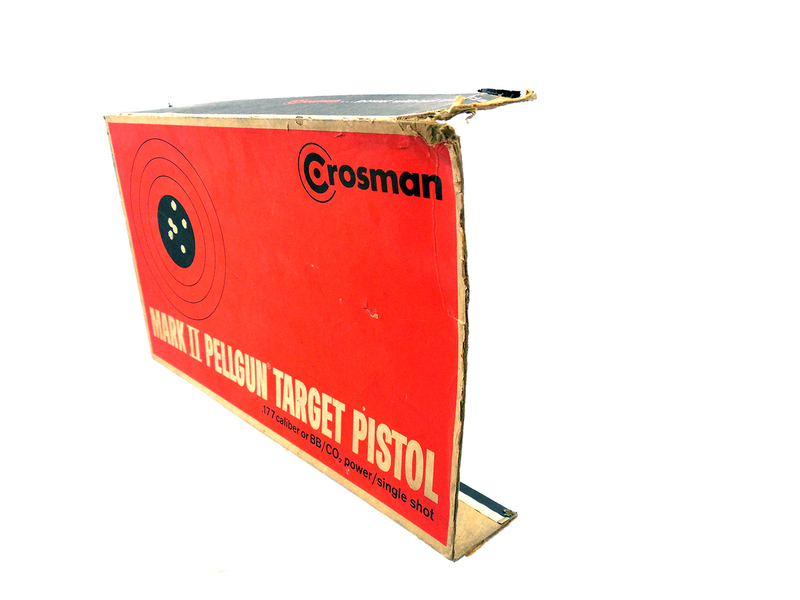 This was a very popular gun for Crosman for many years. These guns are very heavy, solid and rugged. 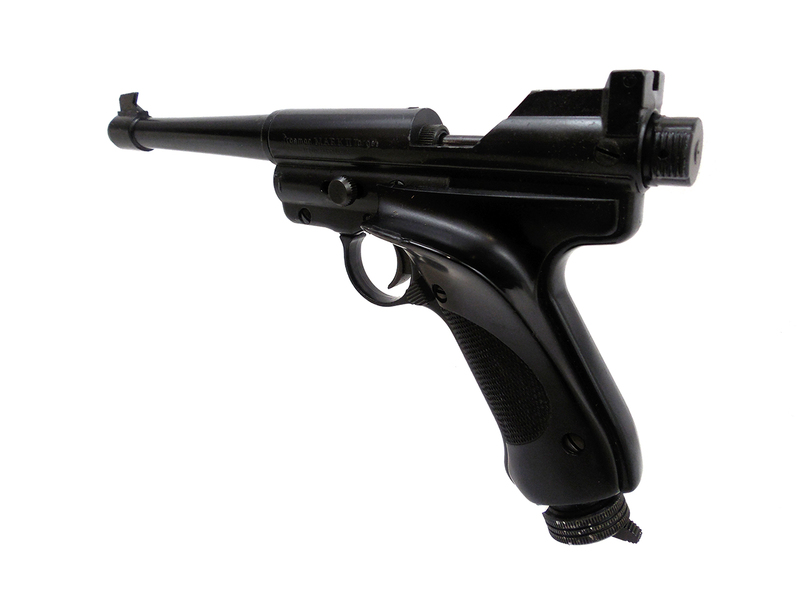 They continue to be very popular with collectors and shooters because of their excellent accuracy. This one comes in an original factory box and includes an owner’s manual. The metal retains better than 90% of the finish. 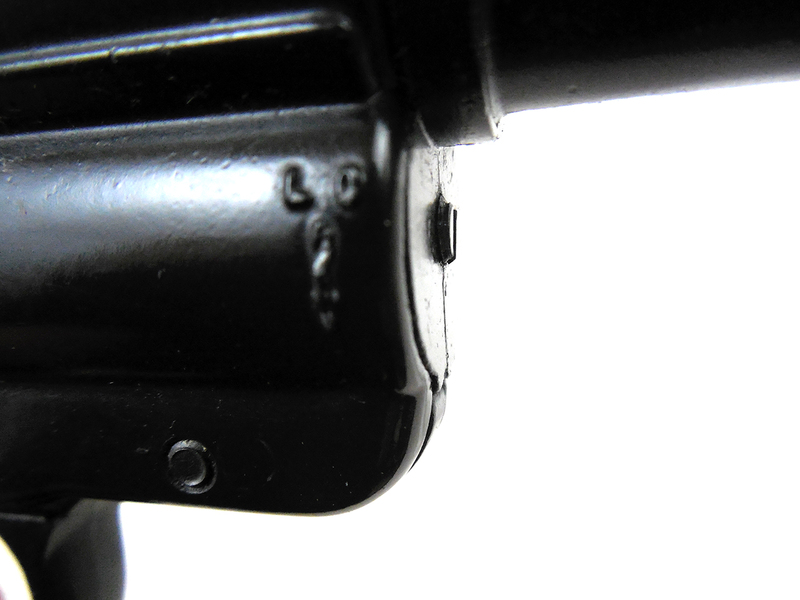 The grips are in better than 90% condition with no cracks or chips. The box has one missing flap, but is in good condition otherwise. 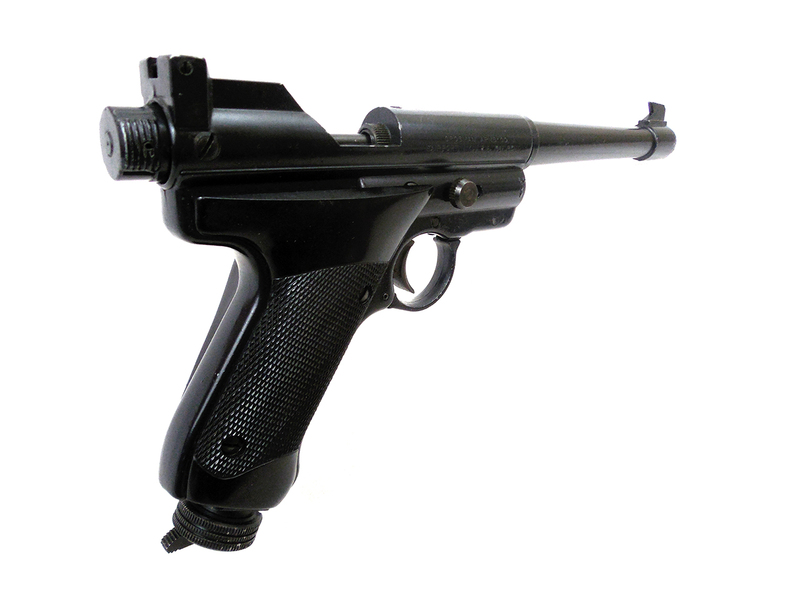 Velocity tested at around 469 fps using lead pellets.